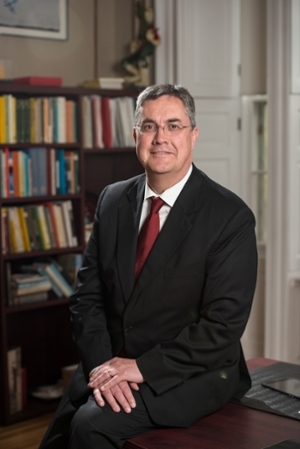 UNB President Eddy Campbell’s opinion piece, “Universities transform our economic future” appeared in the New Brunswick Telegraph Journal on Tuesday, March 10, 2015. Your recent editorial on higher education in the province ("Universities need complete refocus," Feb. 25) perpetuates fundamental misconceptions about the role and impact of New Brunswick's universities. Perhaps most striking was the suggestion that a university education is no longer the path to a better career. This is simply not the case in Canada. Looking at Labour Force Survey data between 2008 and 2014, you will discover that there was a net increase of some 865,000 jobs for university graduates - that compares to 435,000 net new jobs for college and trades graduates. Over that same time, 508,000 people with no post-secondary education lost their jobs. Indeed, there were five million university graduates employed in Canada at the end of last year, up from 2.9 million in 2000. These are not short-term, contract jobs - Statistics Canada tells us 87 per cent of recent graduates were employed full-time in 2013. In British Columbia, newly published data shows that an undergraduate post-secondary degree holder can expect to earn an additional $827,000 over the course of a working life. A university degree can transform your economic future. It was true 50 years ago, and it's true today. Yes, it is clear that the changing demographics in our region mean that UNB can no longer rely so heavily on recruiting high school students from New Brunswick to fill our classrooms. But this does not mean we have been sitting still. We are actively sharpening our recruiting efforts to more aggressively attract students from other parts of Canada. While UNB is not alone in internationalizing its campuses, we have attracted students from 100 countries around the globe. This development of education as an export commodity represents a notable contribution to the province's economy. The new provincial government's strategic program review consultation period recently drew to a close. That process recognizes the significant challenges facing New Brunswick and its government, and dialogue on this issue clearly identifies the need for transformative change and new economic opportunities. Every day at UNB, our people are creating jobs and wealth, discovering new and better ways to live and work, and connecting our discoveries with industry and communities. Entrepreneurs emerging from all post-secondary institutions in this province are revitalizing our economy, and building a better New Brunswick. The program review discussions have made clear that we need a growing and high-performing workforce in New Brunswick to support our economic productivity and competitiveness. Successful modern economies embrace higher education as critical infrastructure, and recognize a fundamental connection between universities and economic development. It seems contradictory to suggest that the path to the future should include less university capacity or fewer options for students to choose from. A university education is a transformational commitment. It opens new possibilities for the individual and for the people around them. In New Brunswick, it is essential to maximizing our economic and human potential. Eddy Campbell is President and Vice-Chancellor of the University of New Brunswick.